Pat Dwyer, Leader living with MS, talks to Barnashrone National School in Portlaoise about MS and encourages pupils and teachers to read and raise funds for MS Ireland. Pat Dwyer, a Leader with OCIL, speaks to schools as a School Ambassador about living with Multiple Sclerosis (MS). Multiple sclerosis is an unpredictable, often disabling disease of the central nervous system that disrupts the flow of information within the brain, and between the brain and body. As it is 'MS Readathon' month, 7th October – 7th November, a Fundraiser set up by MS Ireland to raise funds for those living with MS, it’s the perfect opportunity to raise awareness about MS and also to encourage children and adults to read. 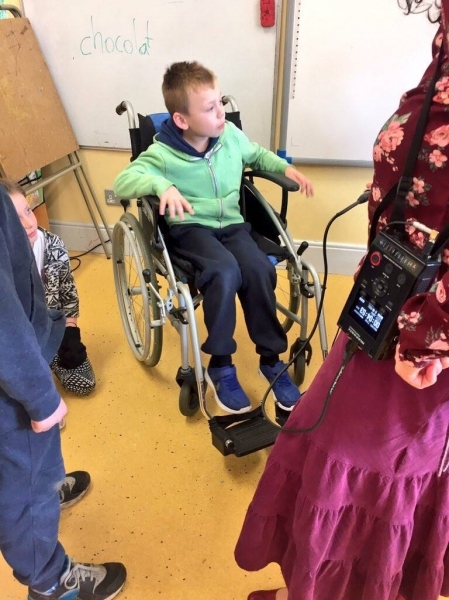 Pat took the time to visit Barnashrone National School, Portlaoise, to explain and talk to the children about how the Readathon works and to answer any questions they might have surrounding MS and living with it. 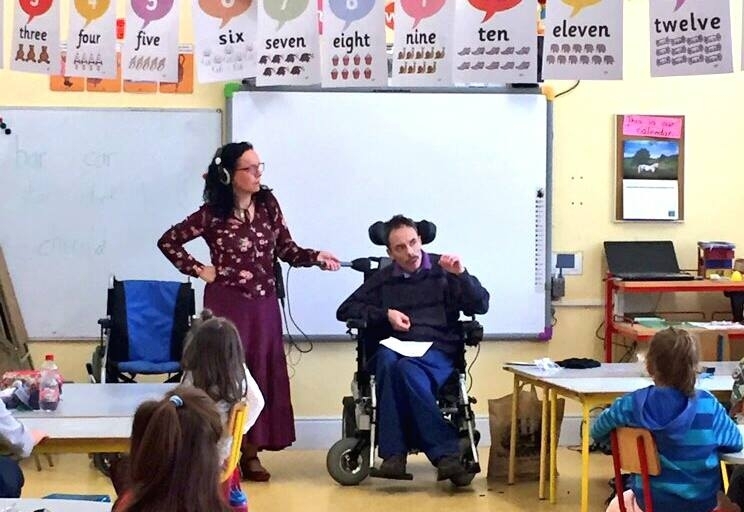 Pat visits local schools voluntarily once a year to speak about Multiple Sclerosis and to encourage people to raise money for a great cause. Using props such as a wheelchair to move around in or blurred glasses to read, the pupils get a real idea of how living with MS is. He speaks with Ann-Marie Kelly on ‘The Open Door’ on Midlands 103 (17/10/2016). Please click the link to listen to the interview.